How many chances do you give someone before you tell them that it isn’t working? Whether the situation involves a friendship or intimate relationship, a work relationship, or a mentorship, this is a difficult issue to address. There’s no one answer, but there are things to consider. 1. Abuse. The time to quit on somebody and get yourself into a safer environment is ALWAYS whenever there’s any physical abuse or constant verbal and emotional abuse. This isn’t something to think about one or two months from now or a year from now — it needs to be immediate and done with bold precision. If you are in this situation, please find a nearby domestic abuse center, seek help and advice online, or seek support from family and friends. You can also visit the National Domestic Violence Hotline. For your own sanity and safety, and the sanity and safety of those around you, get out of an abusive situation sooner than later. Remember: there are 7 billion people on this planet. There’s someone out there who will treat you better. 2. Failed Discussions. This means that you’ve had the discussion where you seriously and consistently told someone what you think, feel and want in life. And, you’ve done it more than once. You can’t bail on somebody if there’s never been a discussion about your truth and your needs. Same goes for if you’ve never asked them about their truth and needs are. However, if you’ve had multiple real discussions, made multiple real requests, and the person is just not engaged in the conversation or even trying, then it might be time to consider seeking counseling or ending the relationship. 3. Repeated neglect. If someone never takes care of you and repeatedly neglects your requests, feelings and reality, then it may be time to end the relationship. At work, if someone repeatedly neglects to do the job that you’ve given them, then that too warrants a serious discussion and warning. After three strikes, bye bye. 4. Repeated lies. If you’re dealing with somebody who is repeatedly lying, that’s the time to protect yourself. Sometimes, the best thing you can do for a liar is cut them free so that they realize that their lying holds real consequences. You may need to accept that most of the world is pretty good, and that you’re dealing with somebody who isn’t a bad apple all the time, but who may be a bad apple in this situation or in this season of their life. Perhaps it’s time to consider that you don’t need to engage them in this season of their life? 5. No Appreciation. This is the #1 reason why people quit jobs. If you’ve been in a relationship long enough and they don’t appreciate you, respect who you are and what you do, and they don’t recognize your love, your heart and your hard work, then it’s time to go. 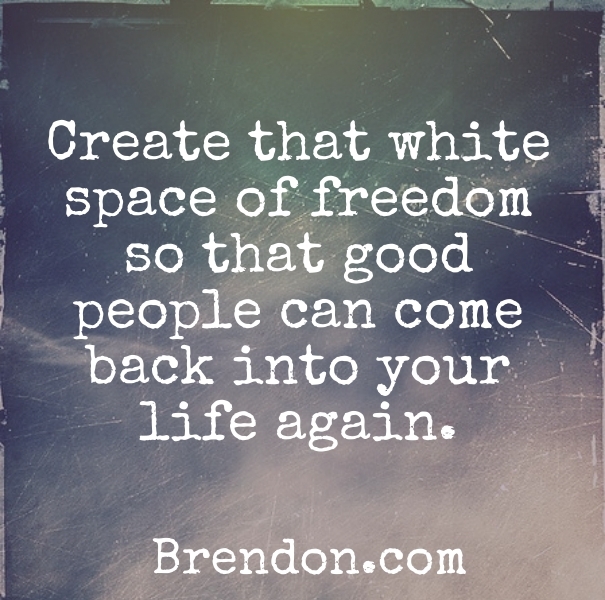 These are the indicators that will help you assess your relationships and ultimately create the white space of freedom to allow good people to come back into your life again. Often, the person asking is in a relationship and they don’t know if it’s time to break up. Or they’ve hired somebody, and they’ve given that person four or five tries at work and they’re not performing. How many chances do you give another person before you tell them that it isn’t working? Whether the situation involves someone you’re in a relationship with, someone you work with, or someone you’re mentoring, it’s a difficult discussion to have. So today, we’re going to get into it. I’m going to give you five ideas on how to think through all of that, going into some difficult areas of life that we all face in the real world. Now, after 50 million video views on YouTube and our websites in this last year, millions and millions of downloads of our podcast “The Charged Life,” and over 100 blog posts, I get a lot of difficult questions. Often, there is a story that accompanies the question, and it’s led to this first piece of advice I have. As harsh as it might sound, the time to quit on somebody, hands down, is when there’s any abuse. When there is abuse in a relationship, you quit. Period. You owe no loyalty to abusive people. There’s a lot of domestic violence in the world. There are a lot of women who are treated very, very poorly and often physically hurt by their husbands, partners, spouses, or lovers. It’s a bad, bad deal. And, often, these women or these folks who are being abused do not get the straightforward answer. The straightforward answer is: if you’re being abused physically, then quit. Leave that person. Get out of that relationship. Get somewhere safe. Go somewhere safe, like your parent’s house, or your friend’s house. You need to exit; not a month from now, not three months from now, but rather, it needs to be immediate, swift and done with bold precision. You need to plan it, and you need to do it sooner than later. That’s so hard to tell people because we often have this misaligned thought in our head about loyalty. The fear arises that, if I leave this person, then I will never be loved. Or, if I leave this person, it’s unfair to them because they hung out with me for so long and I’m a piece of crap. We make up these stories to validate people’s injustice to us sometimes, and at an abuse level, we can’t do that. I know your heart’s in the same place as mine, and it’s difficult to do, but you have to do it. If anyone is being verbally or physically abusive with you on a consistent basis, get out. You don’t need to wait for consistency over a year or two, or three. If it’s one or two times, you’ve got to go. Remember: there are 7 billion people on this planet. There’s going to be someone who will treat you better. There’s going to be somebody who you can trust. There’s going to be somebody who might not come into your life until you create the white space for them to enter. By getting rid of the bad folks, you’re opening space for the good folks to come in. If you’re in an abusive situation, please leave sooner than later. It’s always going to be the better decision to leave sooner than later. Plan it out, find that place of support, and go. There are a lot of people and organizations who help with this type of situation. If you are in that situation, please look up a domestic abuse center nearby, look up some help and support online, or get it from family and friends. But for your own sanity and safety, and the sanity and safety of those around you, get out of that situation. One indicator that it’s time to quit on somebody is if you’ve had repeated failed discussions with them. That means, first and foremost, that you’ve had the discussion with somebody. You’ve told them what you think, what you feel, what you desire, and what you want in life. And, you’ve done it more than once. A lot of people refrain from sharing with someone until internally they’ve built up so much hate, anger and bitterness that they explode on the person and then they walk out. And the other person never even knew it was going on. You need to give time for people to adjust and it usually doesn’t happen after one request. There have to be repeated discussions, not just repeated requests. For a lot of people, when they are in a relationship and something goes wrong, they say, “I don’t like that. Do ABC.” And they demand things from the other person, expecting them to change. But they do this without asking the other person how they feel, what they think, what they want, what they desire, and what their actions are. Relationships aren’t like: you’re over here, and they’re over there. Relationships involve connection, requiring that you understand each other in whole. It’s a discussion, and you can’t bail on somebody if there’s never been a discussion about your truth, what you need, and if you’ve never opened your ears to what their truth and requests are. 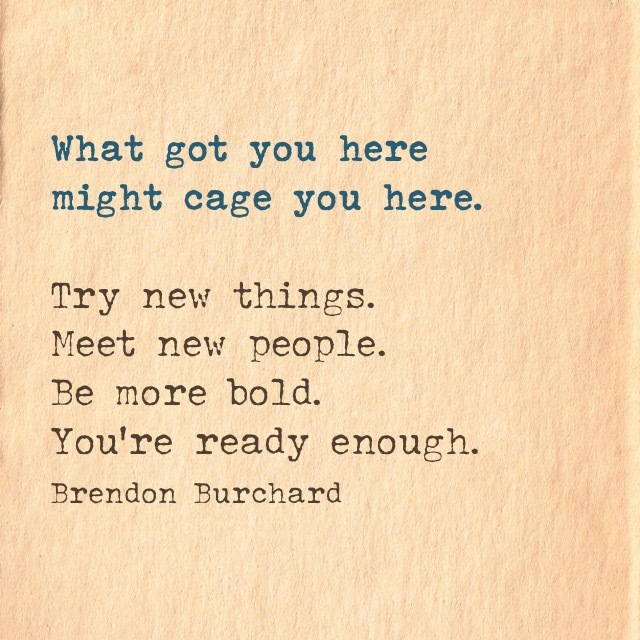 Too many people follow this trend of positivity that subscribes to the notion of: if you’re around negative people, just bail on them, and just find somebody new. If it’s a real meaningful relationship with frequent misunderstanding, first begin with dialogue to try and fix it. You can’t bail on all your family members, friends or anybody who inconveniences you, upsets you or thinks differently than you. The world is filled with people who think differently than you. 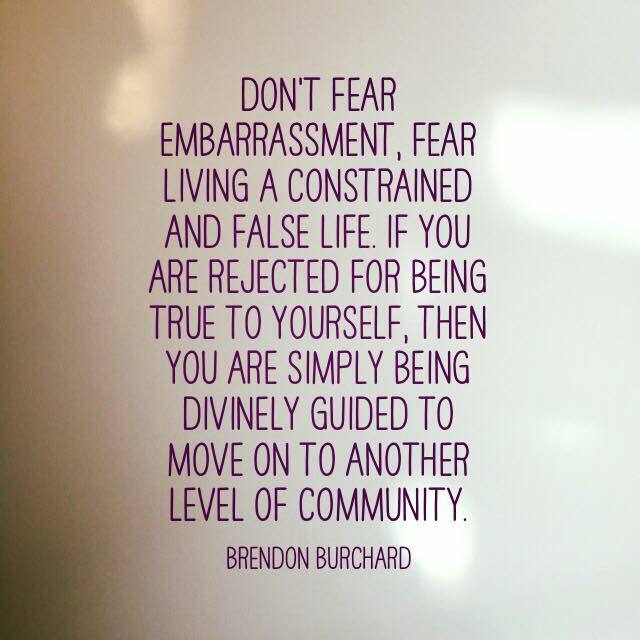 So, don’t bail on every person or every conversation that you don’t like just because it’s uncomfortable. Instead, open up dialogue and have a real discussion. If you’ve had multiple real discussions, made multiple real requests, and the person is just not engaged in the conversation anymore, and you’re in a difficult place, that might be the time to consider either getting support externally, like seeing a therapist together. If you need some advice or guidance on this, I would recommend that you read a book called The Seven Principles for Making Marriage Work by John Gottman. I’m not endorsing everything that John Gottman does, and this is not something that I’m sponsored or paid to recommend. I think this book gives people some basic premises of understanding what science has proven about great relationships and really bad ones. It explains what leads to long term healthy marriage and what leads to immediate divorce. Just realize that you’re going to have to have these discussions. These discussions are going to have to be honest and real, and people will need to open up. Otherwise, if you’ve got somebody who is stonewalling all the time and if you can’t get through to them to have a discussion about the challenge and issues at hand, then that relationship is on its way out. If you’re in a relationship and someone just never takes care of you, if they neglect your requests, your feelings, your reality, then that’s not a relationship or a friendship. If somebody at work keeps neglecting to do the job that you’ve given them, that’s a violation, too. And when you see that over and over, someone just neglects your requests, neglects the job, neglects the responsibilities to you, your family, your kid, your team, then it’s time to move on. If they’re always in this repeated neglect and you’ve made the request, you’ve tried to course correct, and you’ve given the feedback, that’s that three-strikes-and-you’re-out rule. Period. Too many people who neglect end up doing it for too many years, and now it’s a decade of a bad marriage where they never listened, or a decade of a team member who never contributed to the team. That’s just causing hardship on everybody and there is no reason for it. Let them go find a place where they want to engage. If they are not engaging in your relationship or on your team, then it’s three-strikes-and-you’re-out. This is a hard topic and that’s what we always take on in “The Charged Life”. That’s why I talk about fear, disappointment and honoring the struggle, because this is real life. And #4 is important. After repeated lies, this is the type of neglect where someone just doesn’t do what they’re supposed to do, and is outright lying over and over again. You give feedback, and you catch them. You ask for the change, they say, “I will change,” and they don’t. They promise they will not do this, but they do. It shouldn’t take a thousand repeated lies for you to get the hint that you’re dealing with a liar. Period. That’s part of who they are in that relationship, in that situation or in that segment of life that they are in. And you know what? Sometimes, the best thing you can do with a liar is cut them free so that they realize that there’s real consequences involved in their lying. Then they can go out and about, and find their own truths in life, as well as see the wreckage that they’re creating. They can get away, discern something, and maybe then they can come back. But if someone’s always lying, just know that you’re not a truth caster. You’re not going to shift them by sheer hope nor will. And so, please understand that if you’re dealing with somebody who is repeatedly lying, that’s the time to protect yourself. You don’t need to be around that and there’s lots of people who are supportive out in the world who will surprise you with their honesty, vulnerability and generosity. The world is majoritively filled with extraordinarily great, capable, caring, empathetic people. The world is not as full of narcissists and sociopaths as television would have you think. And so, you may need to accept that most of the world’s pretty good, and that you’re dealing with somebody who isn’t a bad apple all the time, but who may be a bad apple in this situation or in this season of their life. You don’t need to be in that season of their life. That’s why sometimes in relationships, the friendship ends and 3 or 4 years later, you see that they’ve changed. They’re more honest and they’ve transformed. That’s great. But you don’t have to be there with them along the journey of transformation. And so, that’s one instance in which you might be thinking about cutting that person loose. This is the number one reason people quit jobs. If you’ve been in a relationship long enough and they don’t appreciate you, respect who you are and what you do, and they don’t recognize your love, your heart and the hard work, then it’s time to go. If they don’t appreciate what you’re giving at work and you find yourself in a place where there’s never any gratitude or respect, where there’s no appreciation of you as an individual contributor, then it’s time to go. If you’re not appreciated there, then go somewhere where you will be appreciated. This is not just so that you can have validation or standing ovations. Rather, if you’re really giving from a place of true service rather than from a desire to receive validation, and they don’t appreciate you with either some type of acknowledgement, recognition, reward, kindness, or compensation, then it’s time to go. If you’ve asked for it by saying, “I feel like I’m doing all these things, but I’m not feeling appreciated. What else can we do here?” and you still have not received appreciation, then it’s time to go. Maybe you’ve had multiple discussions, but ultimately, those discussions fell apart. Or ultimately, they lied to you. Or ultimately, they continue to neglect your needs. In those instances, it is time to move on. Have heart. 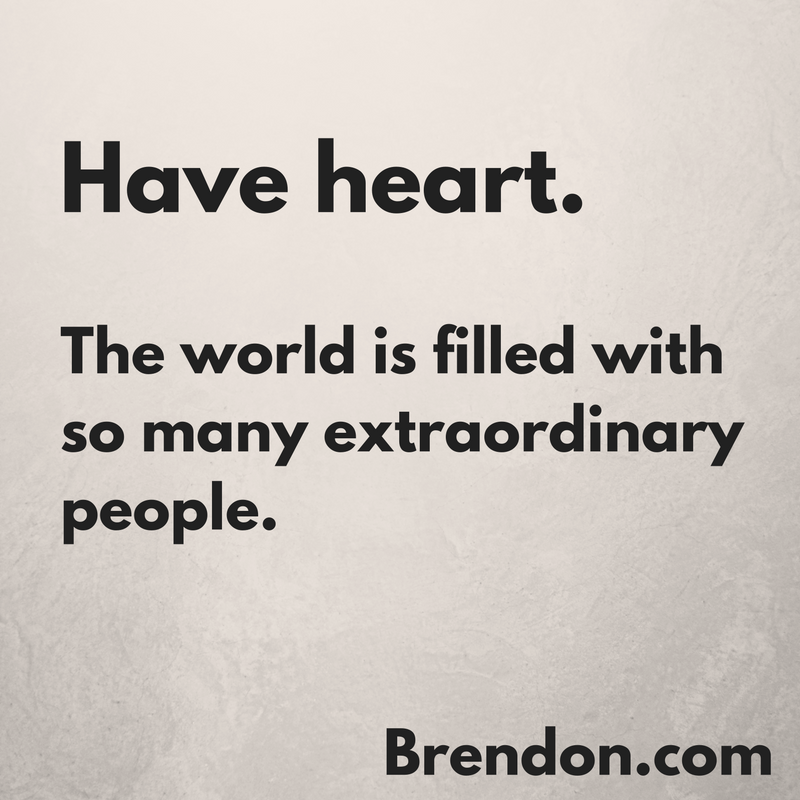 The world is filled with so many extraordinary people. If you’re surrounded by a bunch who aren’t that way, then it’s time to find a new environment, and it’s time to build what you’re lacking. 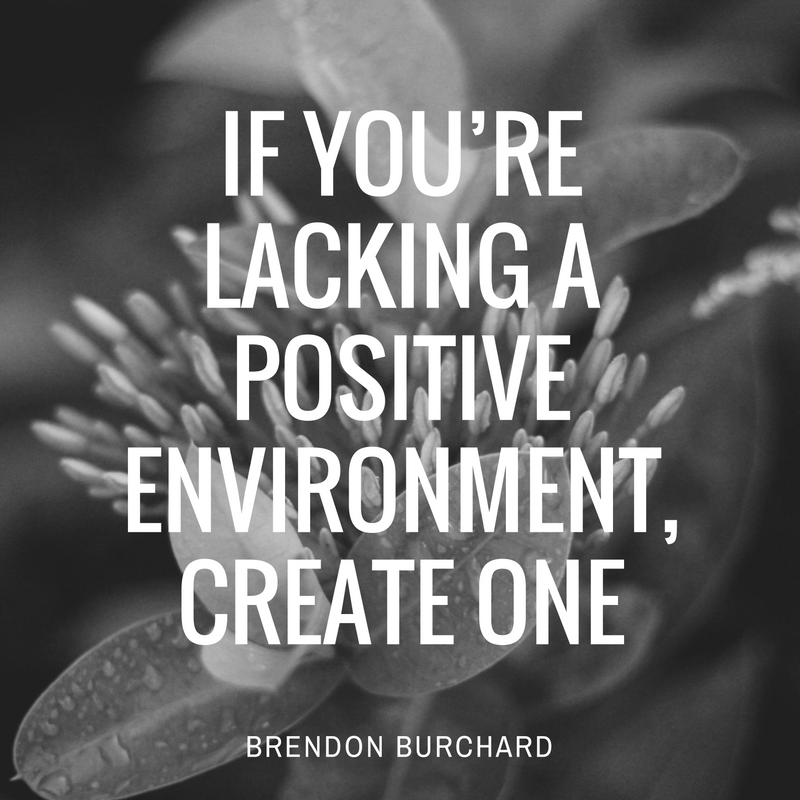 If you’re lacking a positive environment, then create a positive environment. Start letting go of those who will never come around or who are in a bad season in life. Remember: you don’t have to be there for everybody. What you have to be there for ultimately is your life: you. Regarding those you are responsible for and who you care for, but who are abusive or lacking in all these areas we’ve talked about, it’s time to take that hint. It’s time to move on and let them go. It doesn’t mean that they can’t change and maybe come back into your life. However, your job is not to usher everybody through to perfection in life. The world’s filled with great people. Believe that. Trust in that. Connect with them again. Create that white space of freedom so that good people can come back into your life again, and you will experience what we call, The Charged Life.